LONDON – With diocesan synod voting in the Church of England completed, and with 26 dioceses having rejected the proposed Anglican Covenant, the No Anglican Covenant Coalition is preparing for the next steps in its international campaign, including the appointment of a new Moderator, the Revd Malcolm French, a parish priest in the Anglican Church of Canada. The Revd Jean Mayland, a retired priest, will be the No Anglican Covenant Coalition Convenor for the Church of England. 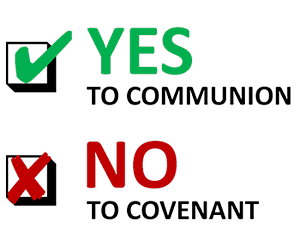 Over the next six months, several more churches will consider the proposed Covenant, including the Scottish Episcopal Church, in June, and The Episcopal Church and the Anglican Church in Aotearoa, New Zealand and Polynesia, both in July. Canadian dioceses have begun studying the Covenant in preparation for General Synod 2013. A model General Convention resolution has been prepared to assist General Convention deputies in the Episcopal Church who may wish to submit a resolution on the Covenant. The model resolution, along with other supporting material, is available at the No Anglican Covenant website (noanglicancovenant.org/resources.html).